Angkor Wat?! 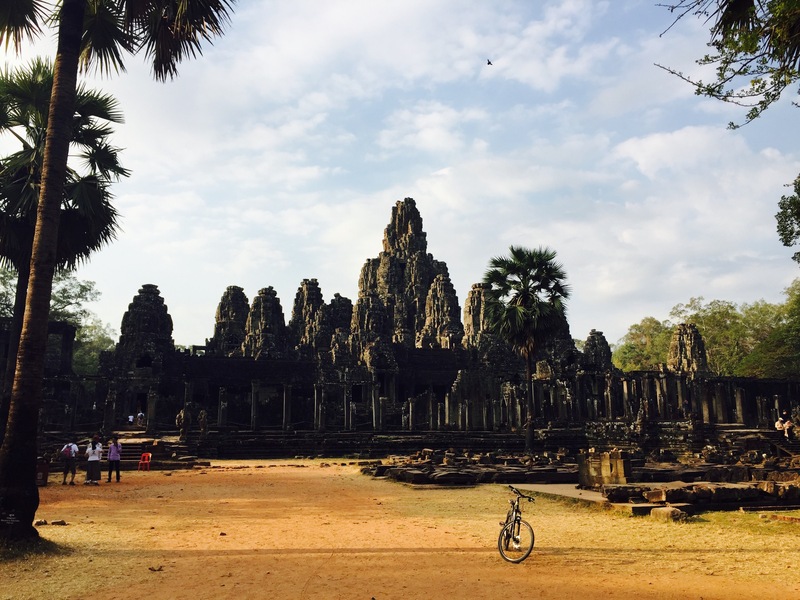 – How a day trip from Siem Reap cost us over $100. 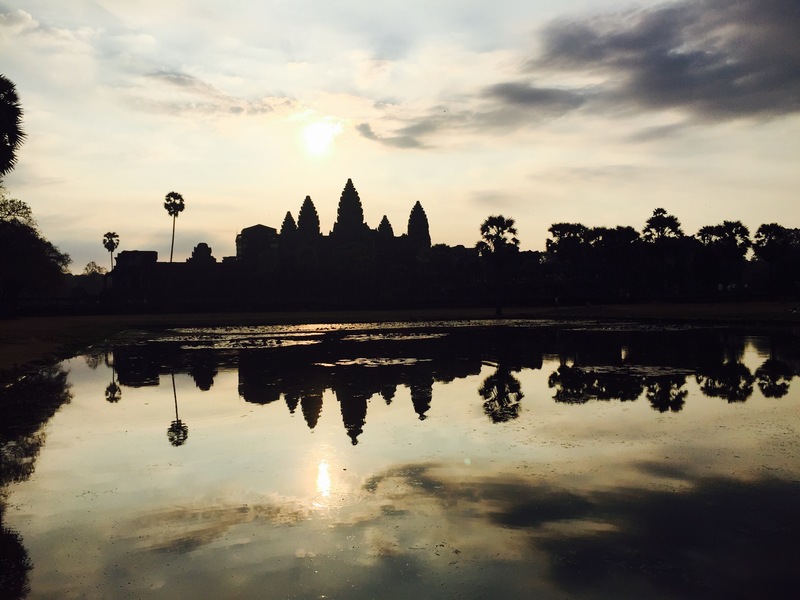 One of the reasons I wanted to visit Cambodia in the first place was to see Angkor Wat; the hugely famous ancient temple that adorns the country’s flag and the largest religious site in the world. I was excited to visit a temple and city that were a mixture of structure and ruin, imagining sights bearing resemblance to the monkey kingdom in the Jungle Book (always a Disney fan). 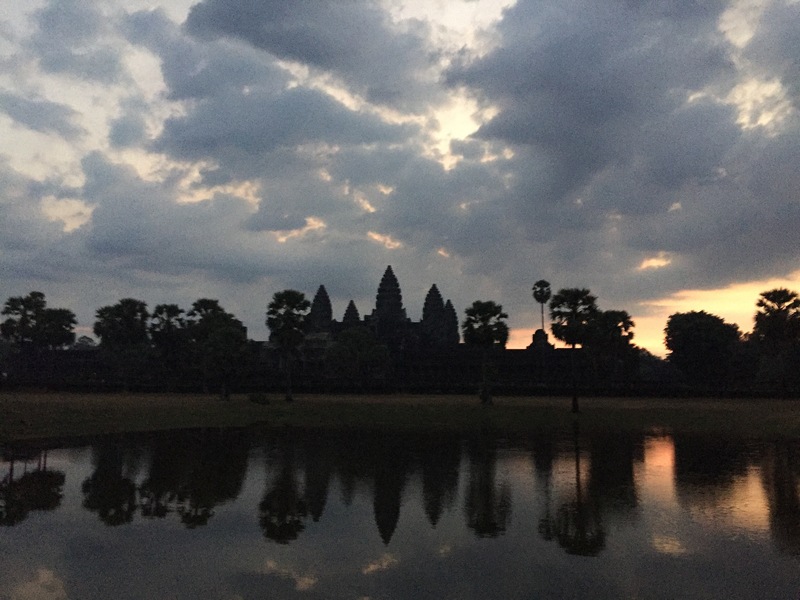 We only had one full day in Siem Reap and therefore to make the most of our time, we decided to jump on the tourist bandwagon and organise a sunrise trip to the UNESCO World Heritage Site. First we looked up guided tours, thinking that this could work out to be the cheaper option with detailed information about the sites that we were visiting. How we were wrong! Most of the guided tours we looked at wanted $65 for the guide, an extra $5 each for sunrise and $33 for the rental of a vehicle. This didn’t include any entrance fees or food; safe to say we didn’t pick that option! We decided to just go around the site ourselves, and booked a tuk-tuk driver for the day. He wanted $20 which included sunrise, so already $13 cheaper than the rented car would have been alone! We met him at 4.45am outside our hostel (how I managed to roll myself out of bed I don’t know) and headed to the ticket office. Now to be fair we had been warned by a couple of travel acquaintances that the entrance prices had gone up by a lot, however it’s only when you add it all up at the end of the day that you realise how much of a rip off this place has actually become. Entrance to Angkor Wat and the surrounding site was $37 each. I was expecting to pay max $20 and I would have thought that was overpriced. But because we were there and I desperately wanted to see it, we paid the money along with every other person there that morning. 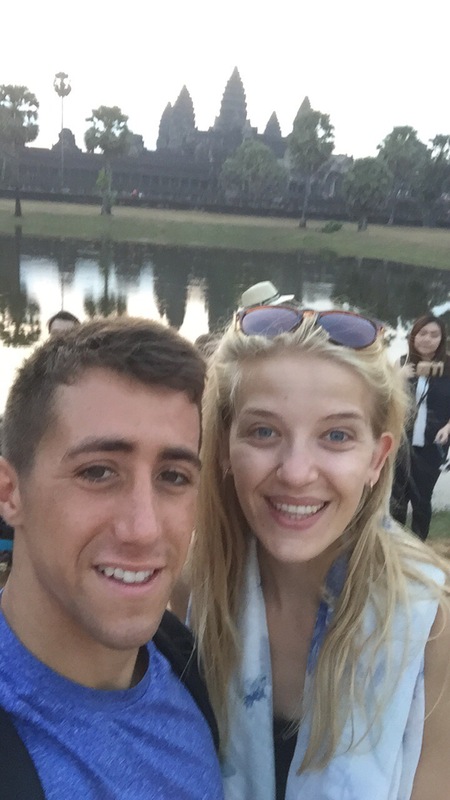 We got to Angkor Wat and watched the sunrise with about 200 other people. It was pretty but cloudy and after fighting for a good view over the lake, it kind of ruins the whole experience. Then we had a quick look around the inside of the temple, which had no information whatsoever about what we were looking at ( I’m guessing that they expect you to pay extra for a tour guide), then our tuk-tuk driver took us into Angkor city were we visited around 6 or 7 temples. The first was pretty impressive, we climbed right to the top and had some great views and it did remind me of the monkey kingdom in the jungle book. It was also great to imagine what these structures would have been like all those years ago when they were first built. However after that they were all the same. They looked the same, had the same features and once again had no contextual information either. Team that with the extreme heat (it was around 32 degrees at night in Siem Reap), and I had had enough by 9.30am. Yes that might be bad, but I’m not a history geek and I also find it difficult to stay interested in something if I’m not being fed any info. It’s just a bunch of sandstone brick to me. We went to the temple that was used in tomb raider, but this was lost on me because I’ve never seen the film and by midday we were back in Siem Reap having lunch and wondering where the hell all our money had gone. The truth is that Angkor Wat is far enough away from Siem Reap city that you need to get transport. It’s also somewhere that nearly every single traveller and tourist will head to when they visit. They know that people will pay the entrance fees and the transport fees because hey we’re here and it’s a once In a lifetime thing and I’ve always wanted to see it. 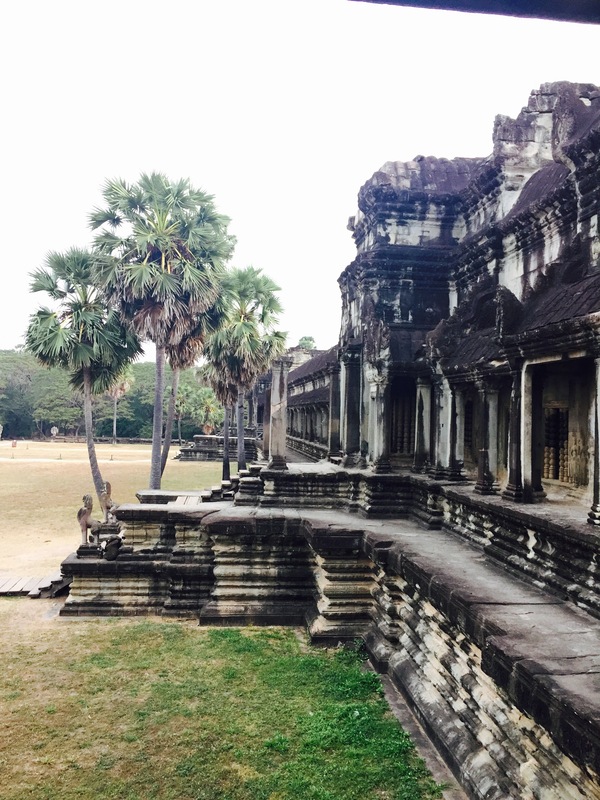 Angkor Wat gets over 2 million visitors a year. Think how much money that is?! And when you consider that external funding from, for example the Chinese government is paying to restore many of the onsite temples, you really do wonder where your money is going. This was honestly one of the places I was most looking forward to, and it ended up being the most disappointing of everything I’ve seen in my travels so far. Such a beautiful site has been tainted by tourism and turned into a business which seems to have no other aim than to bleed visitors for as much money as possible. Contrary to popular belief in Cambodia, not all westerners are millionaires and while I know it’s such a poor country, I fail to belief that the huge amounts of funds going into that place are helping a great amount of people. To top it all off, it has long been established that the amount of visitors to the site are destroying the structures; or what is left of them. People climb on the sandstone and are not chastised or advised against it – to be honest half the time it was the only way to get around the place! Calls to limit the crowds seem to have gone unnoticed and it’s a real shame that money seems to have become more important than anything else. 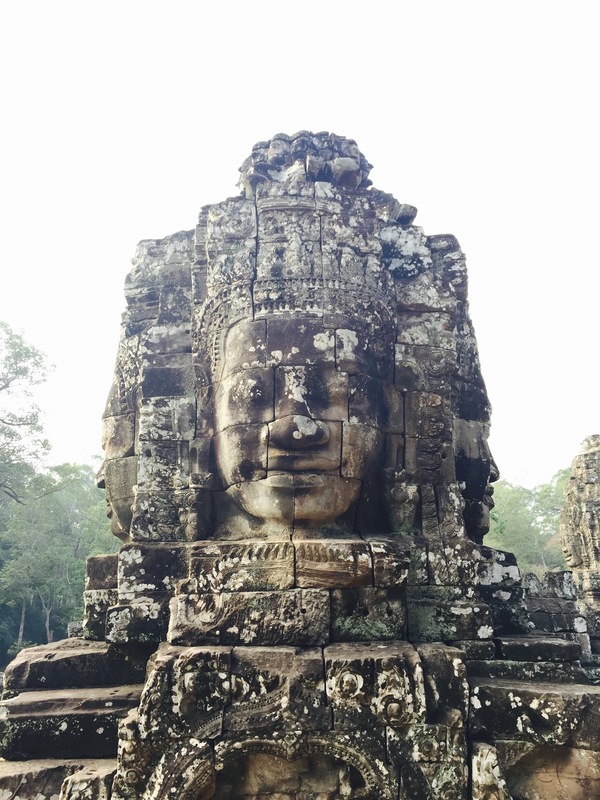 I know that like us, if you do visit Cambodia you will want to go to Angkor Wat and like us you will probably do so regardless of how much it will cost you. But we had spent over $100 before midday and to be perfectly honest it wasn’t even worth half of that. It’s time that the people in charge focussed on the protection and education at Angkor Wat, instead of profit. A Slice of Sunshine – Sihanoukville & Koh Rong. Cambodia, it was short and sweet. Hello Bangkok. It’s always such a shame when places like Angkor Wat are just turned into money making machines by local councils/ governments, especially when they get so many tourists as it is. It rather puts you off going to places like that, even if they are a “must see”. It has to be said, Angkor Wat has never really been on my “to visit” radar, mostly because I’m not sure it would live up to the hype (and when there’s so many similar-looking structures, I tend to lose interest too). I totally agree with everything you have just said! It was such a shame and I wish I hadn’t gone now, so I still had that romanticised view I had before! Wow, I’ve got to say I have the complete opposite outlook on this. Whilst I thought the visa was an absolute rip off, paying to visit the temples is completely fine by me. This is a world heritage site that requires conservation, visitor facilities, staff, parking etc etc. It’s a source of income for the people and for a country swamped in poverty. OK twenty bucks could get you a lot in a local store, but of course they’re going to be charging international prices for the international clientele. Do you really expect a $5 fee? Or a freebie? We, similarly, just walked around without a guide but the photo opportunities were simply amazing – the place is beautiful and in 3 hours of swelltering heat we only explored 4 of the several dozen attractions. We returned for sunset and found the large groups that attend this was very disappointing – out of the entire complex we thought we’d have a quiet nook but instead you’re taking along with the masses. Because of this, we skipped returning for sunrise. Perhaps the fact you arrived for sunrise tainted the experience for you – I know the sunset was a disappointment to me. I do see where you’re coming from but I just personally think the price was the most I’ve paid anywhere for entrance. I don’t begrudge paying for something, especially when there are costs to be covered as you said and I take slight offence at the utterance that I expect a ‘freebie’, but I think near on 40 dollars a person for one day is just too much. Maybe because I’m not as invested as some others I didn’t make the most of the ticket as I’m sure a lot of people do, but I think if you could pick and choose and pay separately for the sites you wanted to see, people would be able to save a lot of money while still enjoying the parts they are interested in and giving back to the country. Sunrise and sunset I think with the sheer amount of people there are now attending, are always going to taint the experience and maybe you are right. I just found the experience slightly underwhelming and that’s my opinion. And I stand by the fact that more needs to be done to limit the crowds there and to preserve what is left of Angkor as a whole. I would have hoped that the amount of entrance being paid by now would have helped this along a little but maybe I’m being naive. I suppose it depends on what your accustomed to, where you’re from and what you expect to pay. At home (London) you’re paying £35 to ride the London Eye, £17 to visit Parliament, £20 for Buckingham Palace. Next week I’m in Paris and paying €27 for the Catacombs and €35 for the eiffel tower… There’s attractions I want to see like Versailles and Notre Dam that cost even more that I cannot justify. 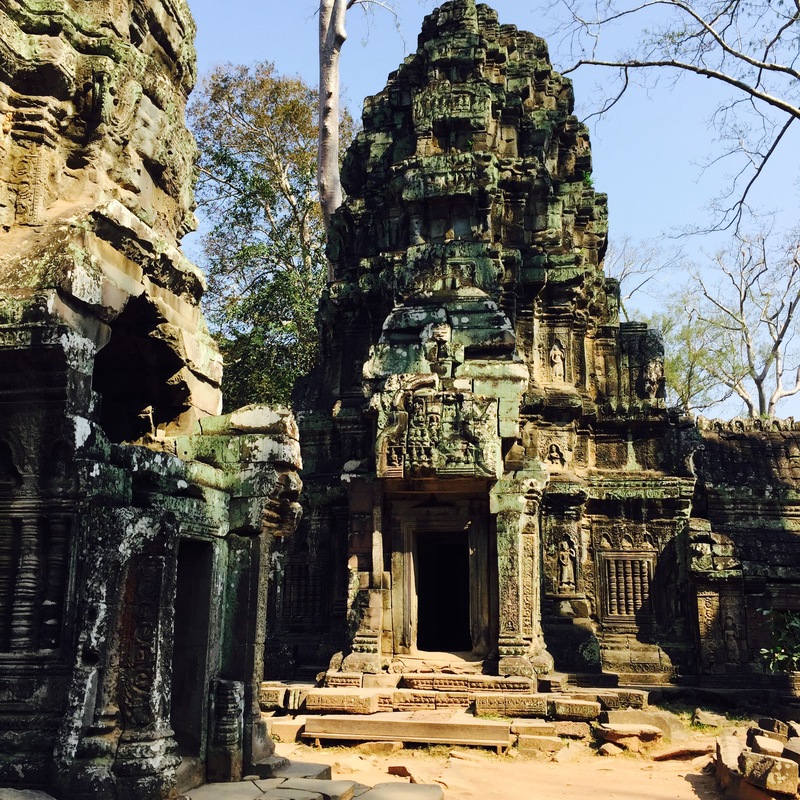 What Angkor has to offer is far more than any of these, in my opinion, but it depends, I guess, what you are looking to gain out of your experience. Yeah of course none taken, and I completely see your point about other tourist attractions! I just feel like 37 for Angkor Wat vs. the measly 6 I paid for the killing fields seems unbalanced when I would have happily paid so much more to learn about the country’s recent history. The problem is that it is not getting conservation, visitor facilities, staff, parking etc etc. The money is not going toward providing facilities that would justify the charge. The money is not even going toward preservation as that is paid for by foreign NGOs. It is not a source of income for the people it is a cash cow for an extremely corrupt government. If the money went toward providing facilities so that the tourists could enjoy the visit it would be a fantastic place but given that you and the local people do not get anything in return it is a rip off. Siem Reap does not even have a reliable water supply and the electricity goes out frequently (twice today). 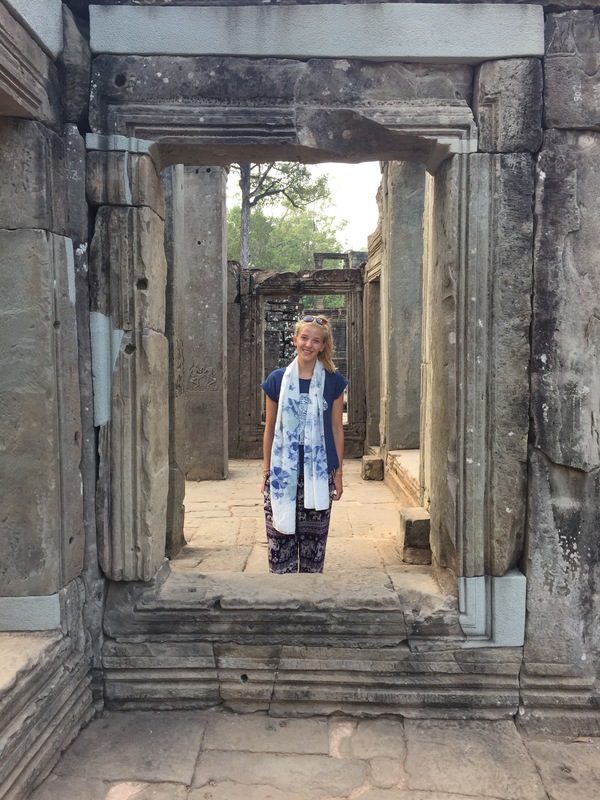 It is too hot to spend a whole day walking around and there are plenty of other temples in the area that if you go to visit them you are told that you have to go all the way over to Angkor and pay $37 and come all the way back again just to visit a small temple. It is 100% rip off. They should provide individual temple tickets at a much cheaper price so that you could visit one or two sites each day. They should provide transport around the site so you do not end up drenched in sweat after having to walk between temples. They should provide good quality food outlets at reasonable prices. They should provide parking rather than a random area of dirt. They should provide clean toilets. The things that you are paying for. They did not build this place, they are not giving anything in return. What conservation – paid for by foreign governments, What visitor facilities, what staff parking? Locals get in for nothing. The price should be commensurate with the local cost of living. Where does all the money go? I don’t have an issue with paying higher prices for places like this, but if tourists get charged a ridiculous amount more than locals, THEN I see red. The Taj Mahal is the best example – when I visited it costed something like 10 Rupees (about 10p) for Indian nationals, but 1000 Rupees (£10) for me. £10 won’t break the bank but it’s the principle that they assume all foreigners can afford that kind of price hike! Back to your post though, even though it was a bit of a let down for you you managed to get some absolutely gorgeous photos! Yeah that is so frustrating! In Thailand I kind of understood temples because they were places of worship and getting tourists to pay isn’t a bad thing, but it was never very much! It’s when it’s so ridiculous that you think; is this even worth it?! The price to enter Macchu Picchu for one day is $70 USD (other parts of the site and museum cost extra), so Angkor doesn’t seem too bad. The higher prices means fewer tourists, which is actually what the authorities want. Make sure only people who really want to go can go. The rest just cause stress on the site and diminish the experience for others. These are important sites with archaelogical, cultural and historic value. They are not for people who are just interested in taking selfies in front of famous monuments. I completely agree with you; but trust me when I say the entrance price to Angkor has not reduced tourist numbers and my belief is that if they truly wanted to reduce this for the protection of the site they would have other more effective measures in place. If Angkor Wat is an important site with archaeological, cultural and historic value, which of course it is then why is not more being done to protect it? As I mentioned I would begrudge paying the money if I thought it was being put back into the monuments. Unfortunately it doesn’t seem that way.